You might have read a recent article about the 12 alternative fee arrangements we use at A2L. It's one of our most popular recent articles, and for me, that speaks volumes about the state of the legal market. I confirmed that sense the other day over breakfast with a partner in management at a major law firm. I asked him what he thought about the "new normal," a term being used to describe the increased market power of corporate counsel over price and other terms when engaging a law firm. His response was not surprising to me, but I am afraid it may be for some. In sum, he said that now that corporate in-house departments have experienced having the power to control price, things will never revert to the way they were before the recession began to hit in 2008, with the possible exception of highly complex/highly threatening/bet-the-company style litigation. I agree, and given his good business acumen, it's no surprise that his firm is performing well while other firms continue to struggle. Not long after the recession hit, A2L began to roll out a series of alternative pricing arrangements. We've continued to innovate since then as well. I have been watching carefully as various firms, both law firms and large companies, make us a part of their preferred vendor programs as a provider of litigation consulting services. It's how they set these programs up that is interesting to me. Although A2L is a preferred vendor for a number of major law firms, most preferred vendor programs have largely focused on e-discovery, legal process outsourcing, and other more easily commoditized services like copying or scanning. For services like ours, where the work is mostly intellectual and often unpredictable in scope, pricing can be a challenge. However, we have also worked with Fortune 1000 in-house departments to help establish preferred rates in the last year. These in-house departments and their procurement teams have worked with A2L to establish standardized rates for a variety of services. Below, I share some of the best practices as they apply to the selection of a litigation consulting firm based on what I have seen from both law firms and in-house departments recently. Get bids based on scenario pricing: A major national insurance firm requested a preferred rate for our jury consulting, litigation graphics and trial technology services. However, instead of focusing on the billable hour, they asked for scenario pricing like "one day mock trial, three panels of 12 jurors." I thought this was a smart approach, and we can certainly answer similar questions that specify scenarios such a five-day patent trial over two patents with 30 exhibits in the Southern District of New York and no wired courtroom; or a scenario of trial technology only in a three-week trial in the Eastern District of Texas with 20 video depositions. Try to obtain discounted blended rates for bundles of services: Pricing a mock trial is very different from pricing of litigation graphics. For a mock, most of the money spent will be on the facility and the jurors. The professional fees are small in comparison. However, it is possible to blend rates for jury consulting, for litigation graphics consulting and for trial technology services. When asked, we will do it for the entire firm's set of services, although, it is influenced by the scope of the work to be performed. Remember, litigation is generally a one-time thing: You never want to be so focused on price that you overlook this. For trial support, you generally only get one bite at the apple, and vendors, especially new ones, can be a risk. So, as you consider procurement, be mindful of quality. Trust me, all firms are not created equal in this industry. Ask about minority ownership and diversity: A2L is a registered minority-owned business in many states, and there are reciprocity agreements among many other states. If you are a law firm, your clients are probably asking for this already. If you are in-house, you already likely understand the value of such certifications. Check references: Ask for names of people who are a lot like you. If you are a general counsel of a Fortune 1000 company, ask to speak with others who are similarly situated. If you are the top litigation partner at an AmLaw top 10 firm, ask for references of this type. Learn the categories well: If you look toward the bottom of this article, you will see a good list of our services with a number of sub-categories. Your goal should be to collect hourly and scenario-based pricing in all of these categories when evaluating litigation consultants. Use spreadsheets: Your goal is going to be to build a spreadsheet with vendor services on one side and vendor names on the other. Only by collecting the data from a number of firms can you compare apples to apples. Remember though, there are not as many qualified litigation consulting firms as there are law firms or e-discovery firms, so you will likely need to include a quality score of some type to avoid comparing high-performing firms with lesser firms and doing a disservice to your client. Use tiered groups: Our firm tends to focus on larger, more complex cases, however there are firms who focus mostly on smaller cases. Just as one would do if they were comparing law firms, one would not want to compare their bet-the-company litigation counsel to their slip-and-fall counsel. It is important compare litigation consulting firms in tiers of who they typically serve. Leave wiggle room: The best preferred vendor agreements I have seen include a couple of terms that remain not fully determined, in order to encourage discussion. Some firms charge for things that others do not, and you should leave the room to discover this fact. For example, we have competitors who still charge hourly rates for the use of a trial laptop by a trial technician whereas we assume that to be built into the hourly rate. Promote success fees, caps, ceilings, and the like: Referring back to our list of various pricing strategies, you should ask your vendor list who is willing to participate in various pricing strategies. Our list is a good guide for what to consider. Trade things vendors value that are no-cost for you: Not only do you have power to control price by simply demanding more standardization from like vendors, but by giving more you can get more too. For example, A2L frequently negotiates on price just to know we will be getting paid in a timely way. If you have volume, use it to your advantage: Running a sales operation in litigation support is expensive. There's travel, use of tools like LawProspector to research who needs your services, there are sales meetings, CRM, commissions and much more. If you can help reduce those costs for a litigation support vendor with a preferred vendor program, you will benefit in the savings. 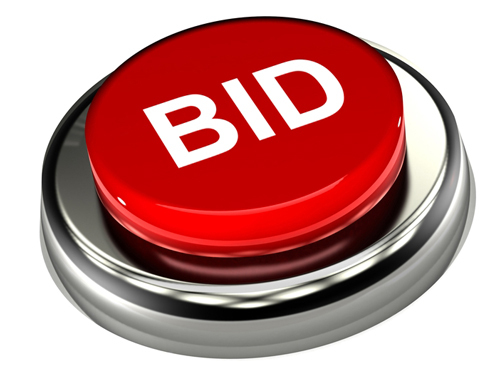 Invite many bidders: In our industry, there are all a handful of go-to litigation consulting companies for “brain surgery” style litigation. However, there are many firms available for your everyday $500,000 personal injury case. Figuring out who's who is not easy. So, rely on referrals and high-volume best-of lists like the National Law Journal's annual best of surveys. Take advantage of training: Many firms like ours offer ongoing training in the form of CLEs and other events. Negotiating this as part of the relationship is probably good for both parties. Review our tips for evaluating vendors in these articles: How to pick a litigation consulting firm and what you must know when choosing a trial tech and 6 secrets of the jury consulting business. Focus on the possible payment of travel time: Different people take different views on this topic. I actually think it should be compensated in some form if it is difficult for the consultant to do other work, but plenty of F500's take a different view. Just remember, litigation consultants are generally different from law firms. We tend to focus on one client at a time. Build a trusted evaluation team: It is going to take some smart people to work through these issues, but the payoff is in the bottom line.